A novel of intense power and intrigue, Jane Eyre has dazzled generations of readers with its depiction of a woman's quest for freedom. Having grown up an orphan in the home of her cruel aunt and at a harsh charity school, Jane Eyre becomes an independent and spirited survivor-qualities that serve her well as governess at Thornfield Hall. But when she finds love with her sardonic employer, Rochester, the discovery of his terrible secret forces her to make a choice. Should she stay with him whatever the consequences or follow her convictions, even if it means leaving her beloved? This updated Penguin Classics edition features a new introduction by Brontë scholar and award-winning novelist Stevie Davies, as well as comprehensive notes, a chronology, further reading, and an appendix. Charlotte Bronte (1816-55), sister of Anne Bronte and Emily Bronte. Jane Eyre appeared in 1847 and was followed by Shirley (1848) and Vilette (1853). In 1854 Charlotte Bronte married her father's curate, Arthur Bell Nicholls. She died during her pregnancy on March 31, 1855 in Haworth, Yorkshire. The Professor was posthumously published in 1857. Dr Stevie Davis is a novelist, critic and historian. She is Director of Creative writing at the University of Wales Swansea. She is the author of four books on Emily Bronte, three novels, and three books in the Penguin Critical Studies series. 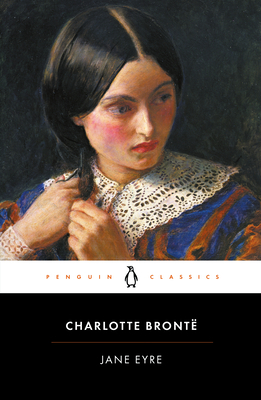 "At the end we are steeped through and through with the genius, the vehemence, the indignation of Charlotte Brontë." Why does Brontë juxtapose Jane's musings about women's social restraints with the mysterious laugh that Jane attributes to Grace Poole? Rochester tells Jane, "if you are cast in a different mould to the majority, it is no merit of yours; Nature did it." Are we intended to agree or disagree with this statement? After Mason's visit to Thornfield, Jane asks herself, "What crime was this, that lived incarnate in this sequestered mansion, and could neither be expelled nor subdued by the owner?" What crime does Bertha represent? Why does Rochester keep her at Thornfield? Does Rochester ever actually intend to marry Blanche Ingram? If so, when does he change his mind? If not, why does he go to such lengths to make Jane believe he does? Rochester's disastrous marriage to Bertha was based on passion, while St. John refuses to marry Rosamund because of his passion for her. What is Brontë saying about the role passion should play in marriage? What does St. John feel for Jane? Why does Jane end her story with his prayer? Jane asserts her equality to Rochester, and St. John. What does Jane mean by equality, and why is it so important to her? When Jane first appears at Moor House, Hannah assumes she is a prostitute, but St. John and his sisters do not. What distinguishes the characters who misjudge Jane from those who recognize her true nature? When Jane hears Rochester's voice calling while he is miles away, she says the phenomenon "is the work of nature". What does she mean by this? What are we intended to conclude about the meaning of this experience? Brontë populates the novel with many female characters roughly the same age as Jane—Georgiana and Eliza Reed, Helen Burns, Blanche Ingram, Mary and Diana Rivers, and Rosamund Oliver. How do comparisons with these characters shape the reader's understanding of Jane's character? What is the balance of power between Jane and Rochester when they marry? Does this balance change from the beginning of the marriage to the time ten years later that Jane describes at the end of the novel? In a romantic relationship, does one partner inevitably dominate the other? Should an individual who holds a position of authority be granted the respect of others, regardless of his or her character?